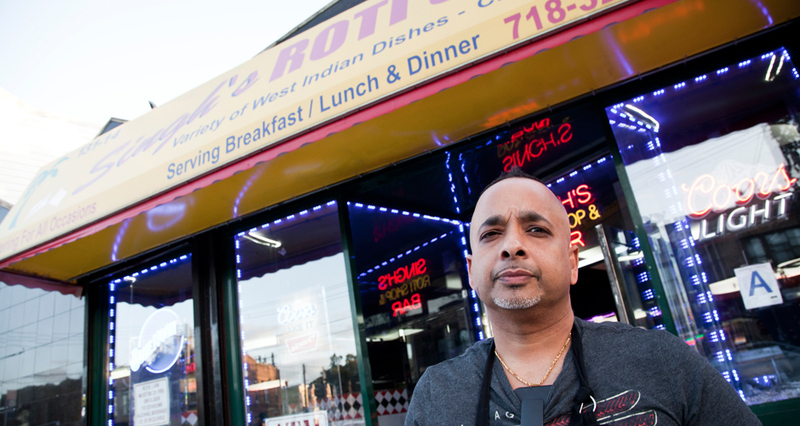 From legendary pizza joints to homemade roti, the Queens-based crew reveals the secrets to getting the most out of this bonafide food mecca. 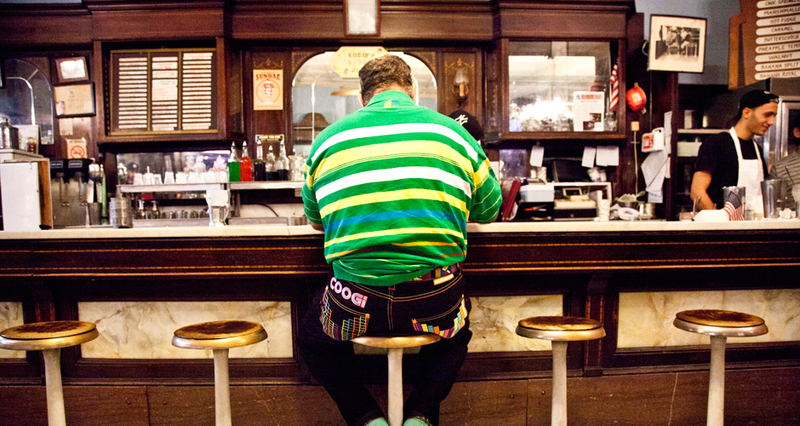 As part of our ongoing Insomniac Series, we ask notable night owls to reveal the watering holes, food spots, and neighborhood classics that thrive after hours. 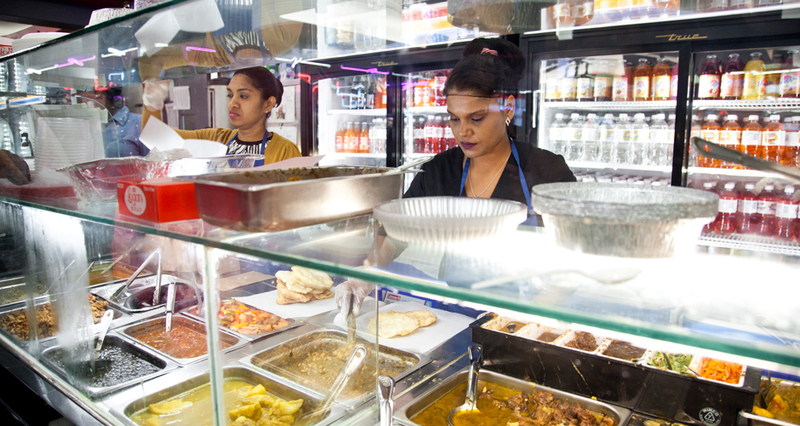 It’s at a West Indian roti shop, deep in Queens, when despair sets in. 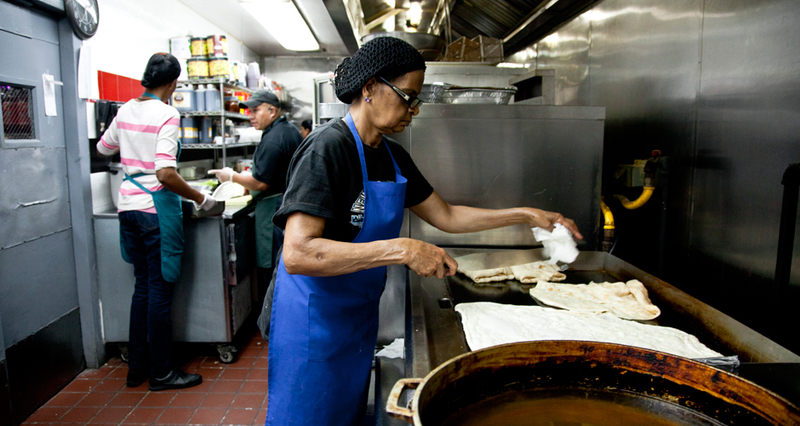 A gigantic spread sits before us, including a chicken roti the size of a newborn. “You ain’t quittin’, are you? 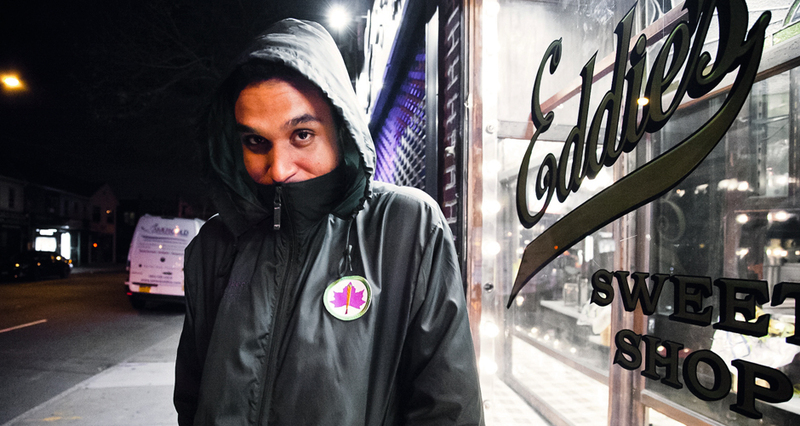 !” Cody B. Ware of the Queens rap collective, World’s Fair, says to me. 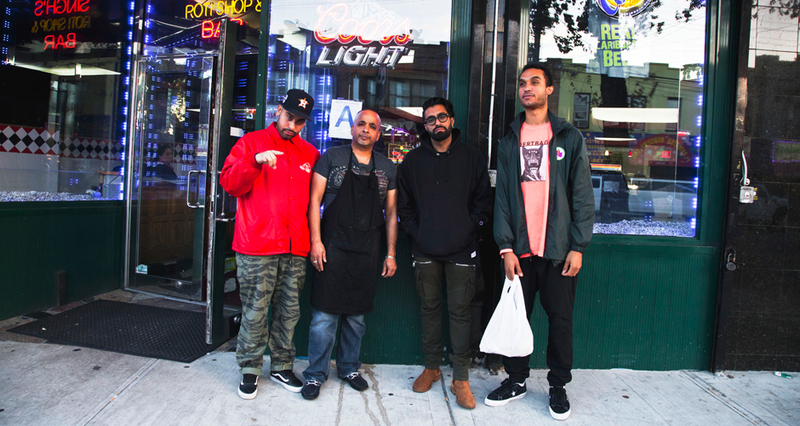 He, along with World’s Fair’s manager Affan Arif and producer Black Noi$e, can already see the dread in my eyes. 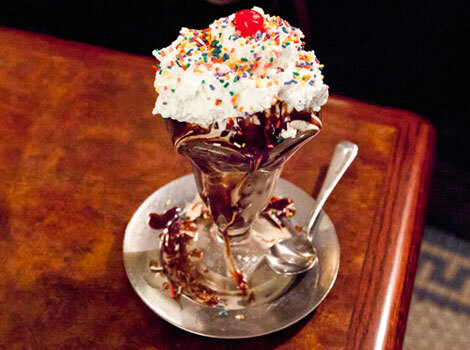 This is only the first of four pit-stops for this late-night Queens food crawl. Cody and Affan know it’s all worth it. 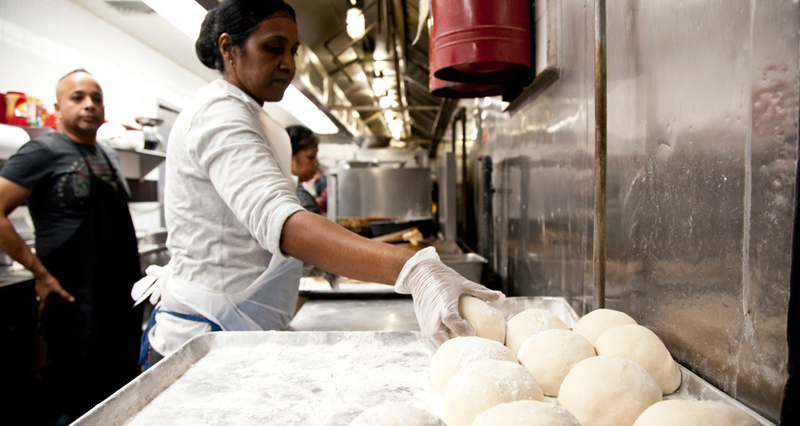 They, along with the rest of their crew, grew up in the Queens (Cody in Briarwood and Affan in Jamaica; the other members from Corona, Forest Hills, and Roosevelt Island), reveling in the fact that they could access foods from anywhere in the world with just a short subway ride. 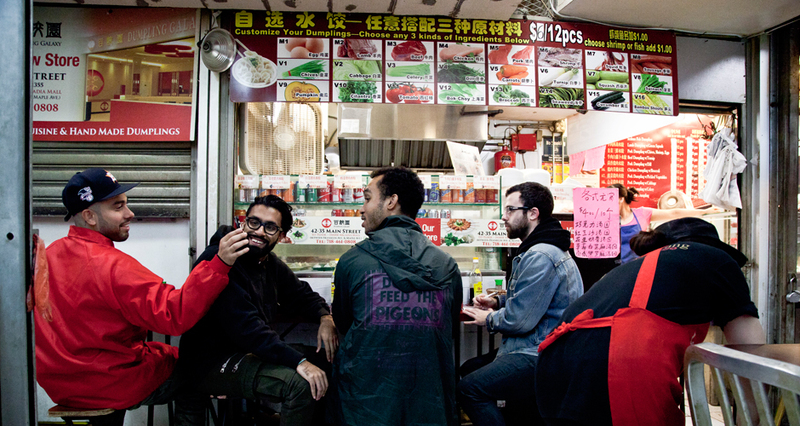 Even the group’s name, World’s Fair, is a testament to the multi-cultural borough that’s shaped them. 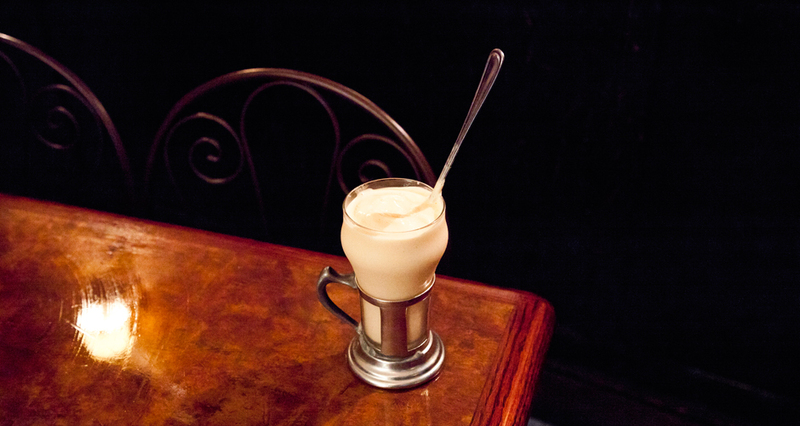 From Richmond Hill to Woodside, we chow on everything from West Indian-Chinese fusion, to comfort food like milkshakes. When we arrive at Kew Gardens pizza institution Dani’s later that evening, Cody explains the charm of these places. 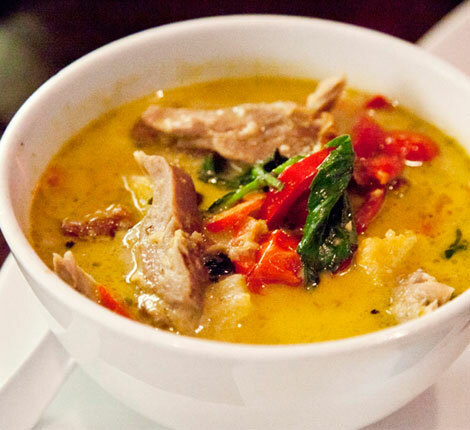 But even after-business hours, they know there’s plenty of good eats to discover. 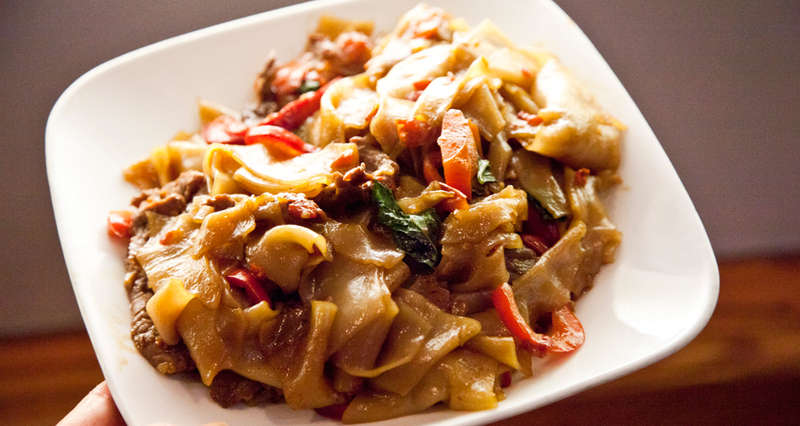 From some of the best Thai papaya salad you’ll find on the east coast, to a pizza parlor known for attracting drunk flight attendants, let these lifelong Queens residents tell you how to enjoy your time once the sun goes down. 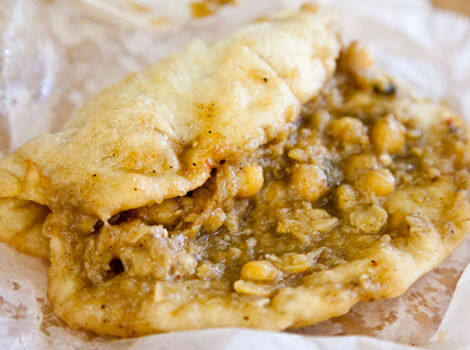 Kick off your evening with beers and roti. 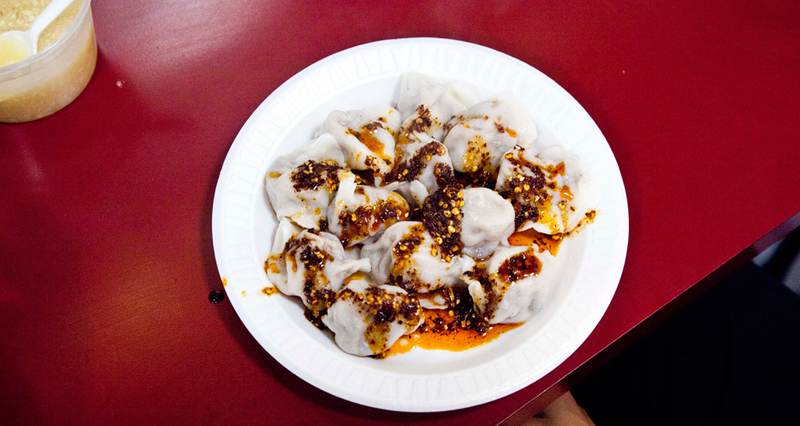 Forget Chinatown—Flushing has NYC’s best dumplings. Period. 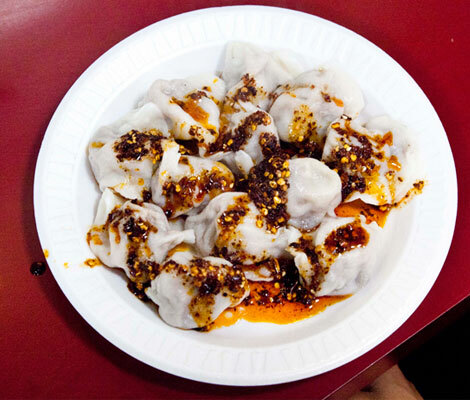 Affan says: “It’s hands-down my favorite dumpling spot—and you have to get their lamb dumplings to really do it right. 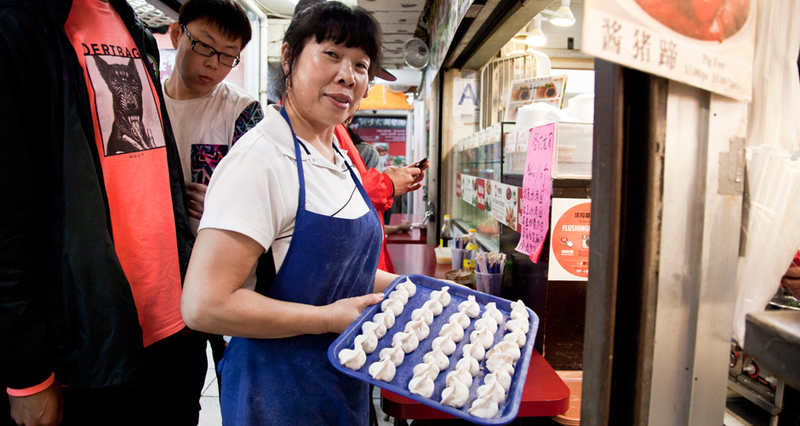 The cool part about this place is not only can you build your own dumplings—which is so clutch—but you can also take frozen ones home. I remember one time I was digging through the back of my freezer and I found a four-piece. I can’t explain to you how pumped I was. 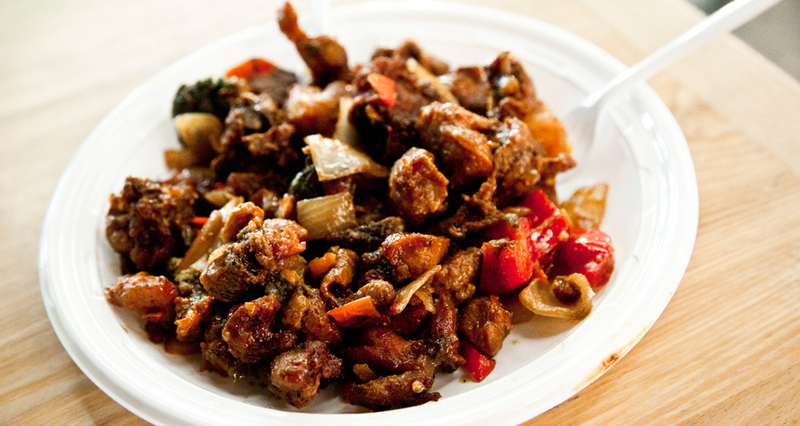 Just make sure to douse whatever you get in garlic and the spicy sauce. On winter days it’s almost necessary. I remember coming down here with Cody one time and we had to douse the food in it just to stay warm. Now there’s a pro-tip. 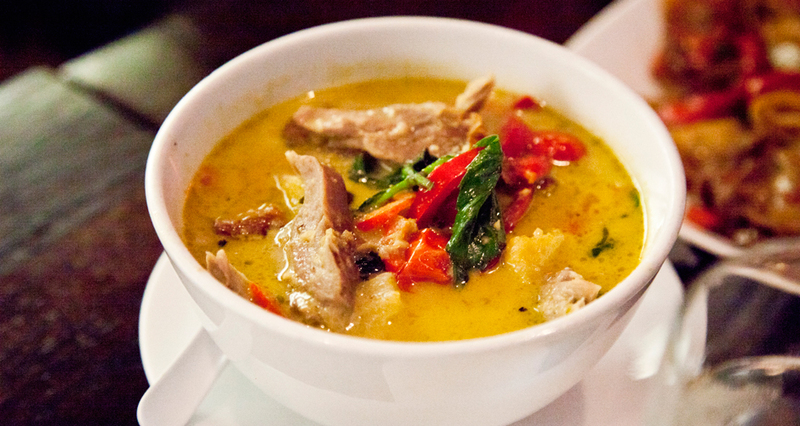 SriPraPhai brings some serious Thai heat. 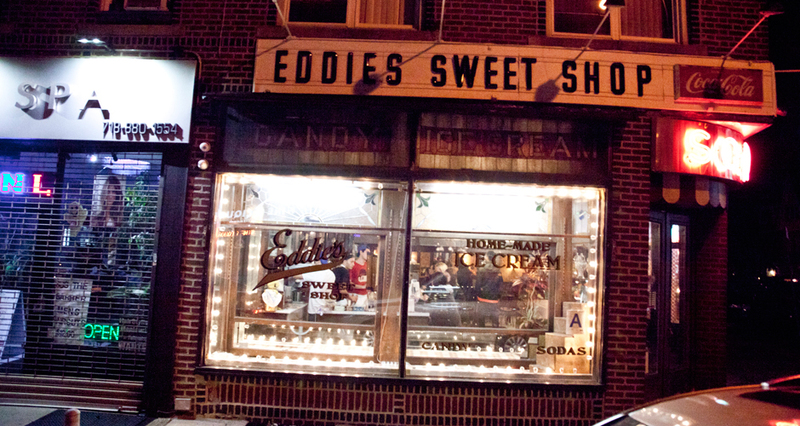 Date-night in Queens should always end at Eddie’s. 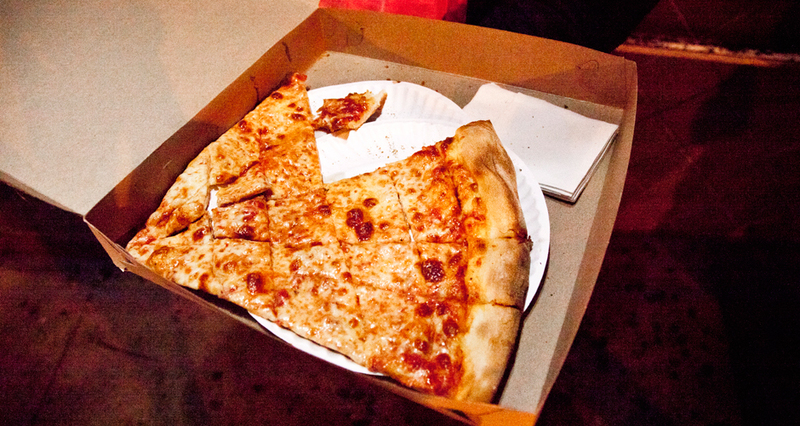 Top it all off with pizza from Kew Gardens. 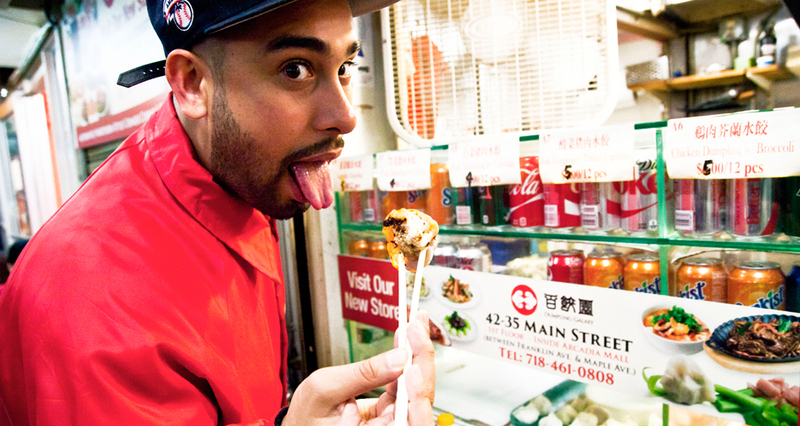 Cody says: “Along with [legendary sandwich shop] Cherry Valley, Dani’s (81-28 Lefferts Blvd, Kew Gardens, NY) is one of the few spots open almost all night in Queens. 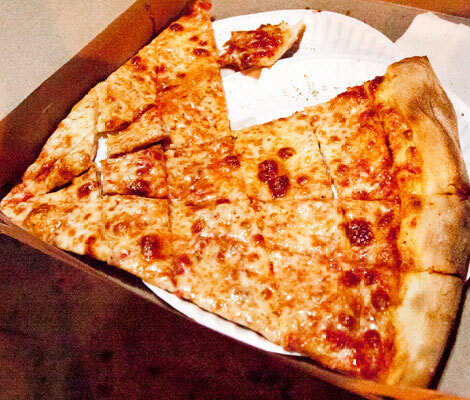 You either get the regular or the pesto slice here—everything else is just unnecessary. No joke, when someone from out of town comes into the city, this is the first place I take them. Every time. 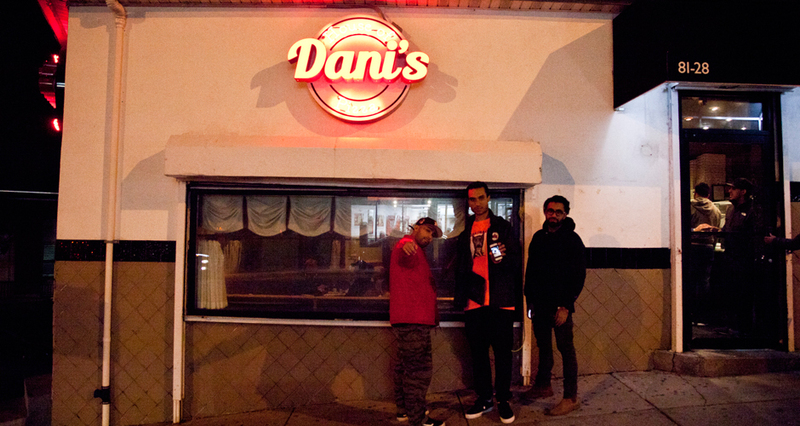 Affan: “The funny thing is some nights you’ll walk by here and it’s packed. Because of it’s so close to both airports, a lot of flight attendants are either put up around here or live around here. So you’ll walk by Dani’s and it’s just filled with hammered airline employees. It’s hilarious. 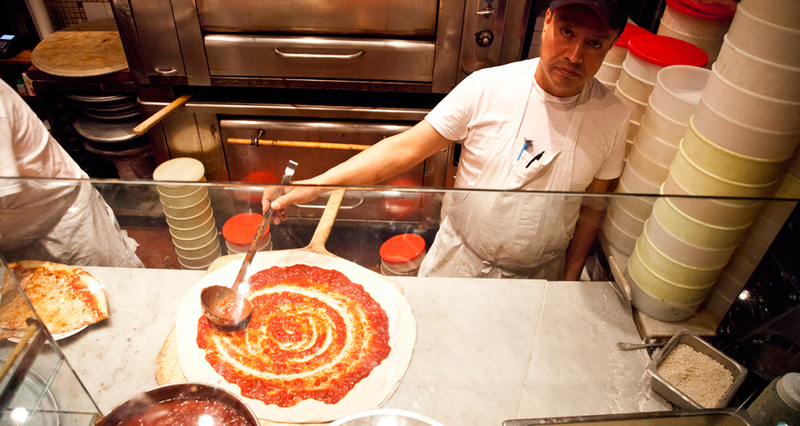 But to be honest, I don’t know why this place doesn’t get more love among pizza people in NYC. It’s so important to us. Get World’s Fair’s debut album, Bastards of the Party, for free here. You can also check out Remy Banks latest work too.